There are only a few days left before the Bocuse d’Or 2019 finale! But already, the 2019-2021 selection process for the prestigious contest is being outlined. Estonia, which has just celebrated its 100 years, will host the next edition of the Bocuse d’Or Europe 2020. Tallinn, the capital of Estonia, will set the stage for the rise of the next European gastronomy talents by hosting the European selection event for the Bocuse d’Or in June 2020. 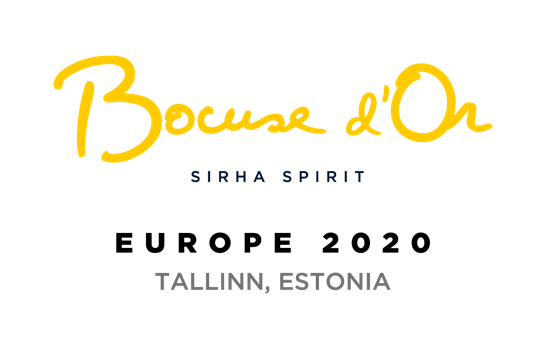 Estonia has been taking part in the Bocuse d’Or for ten years already, under the leadership of Dimitri Demjanov, an emblematic figure of Estonian gastronomy who has dedicated much effort to the contest since its creation. For its first participation in 2009, the country surprised the jury with a performance that landed it in the top of the ranking. The European selection event is one of the most important among the continental rounds. The contest involves no less than 20 countries, out of which 10 will be retained to come to Lyon and defend their colours in the final of the Bocuse d’Or as part of the Sirha trade exhibition in January 2021. The Estonian government and Prime Minister Jüri Ratas as well as the city of Tallinn and its Mayor Taavi Aas contribute actively to support the event in order to promote the gastronomy of their country. Little known today on the international culinary scene, Estonia has a rich gastronomy and age-old know-how. Its international ambition is strong. With this new stage in the Bocuse d’Or, the contest demonstrates once again its openness to new gastronomic nations as well as its commitment to promoting new types of cuisine around the world.